It was 2002 when The Highlander Golf Course opened for play high above the mighty Columbia River featuring magnificent views and Scottish links style golf holes. Highlander Golf Course has since evolved into the area’s premier resort style course and residential community with many changes that challenge the player and please the senses. We invite you to experience the beauty and challenge of The Highlander Golf Course and when you do, we know you’ll be back again and again. Play well! 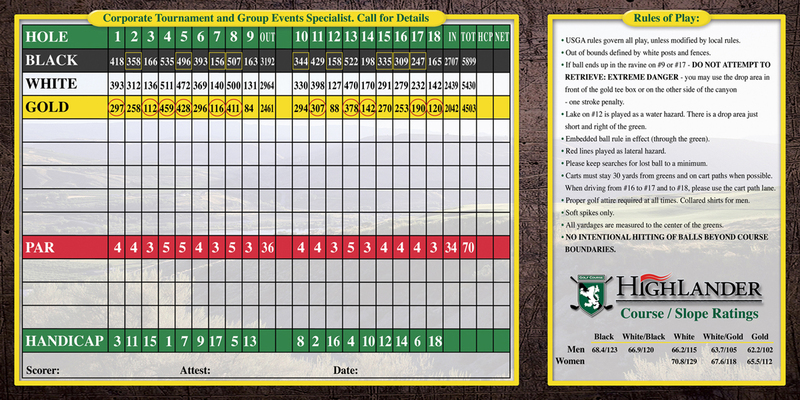 Get the latest news and specials from Highlander Golf Course. Don't miss out!